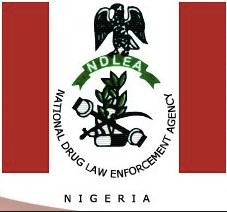 Officials of the National Drug Law Enforcement Agency NDLEA, uncovered N340 million worth of Tramadol tablets hidden in 12 containers at the Apapa port in Lagos State. In a statement released by the Head of Public Affairs, Jonah Achema, the agency said 12 containers were recovered from the Apapa port during its search which contained the banned drugs in various dosages ranging from 120 milligrams to 250 milligram. Achema said the containers were on the watch-list of NDLEA since November, 2017 and were brought to Nigeria Customs Service for search based on the agency’s reasonable suspicion of the containers. He stated that the NCS on Wednesday, dropped 28 of 62 containers slated for search, among which 12 of them have been found to contain tramadol.